Do u like WHO I AM (the song)? What is your favourite song from 'Who I am' album ? Do bạn like the Jonas Brothers hoặc Nick Jonas and the Administration better? người hâm mộ lựa chọn: Jonas Brothers all the way!!! Jonas Brothers all the way!!! Do u like ROSE GARDEN? Does anyone know when the album WHO I AM comes out in Europe? Nick Jonas plays with The Roots as 2 contestants compete in a dance and shake thing. Nick gives the winner $300 dollars from his wallet. 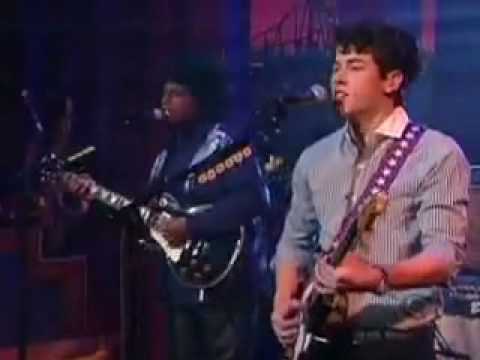 Jimmy talks with Nick Jonas about his new band, The Administration. everything jonas everyday. everything on nick and the administration. a poll đã được thêm vào: Do bạn like the Jonas Brothers hoặc Nick Jonas and the Administration better? a poll đã được thêm vào: is STAY the BEST SONG EVA!!!!!!!! a pop quiz question đã được thêm vào: What's the shortest song in "Who I Am"? a pop quiz question đã được thêm vào: What's the longest song in "Who I Am"? What's the longest song in "Who I Am"? Do bạn think Nick will sell out faster solo than as The Jonas Brothers?